It's been a Mamma and Parker week, and we are so ready to pick up Dada at the airport this afternoon after seven days of international business travel! 1. 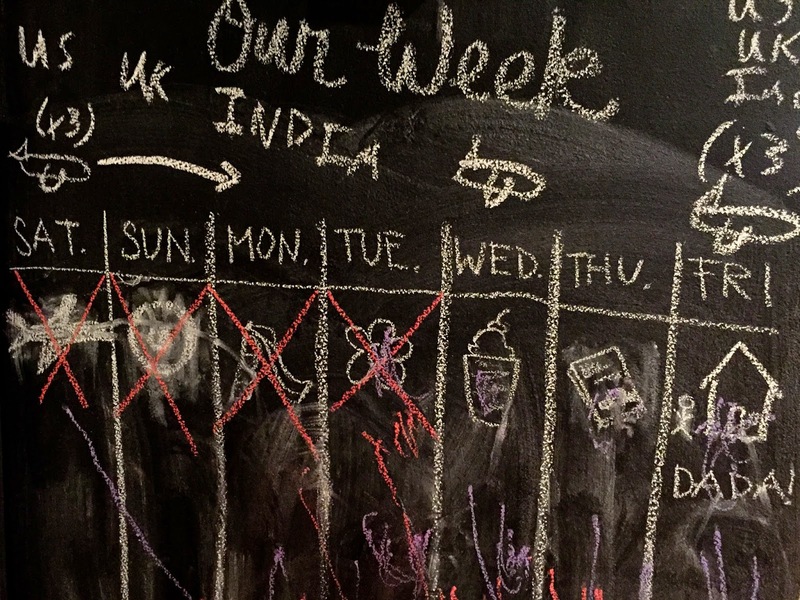 To prepare Parker for Max's trip, we made a calendar on our kitchen chalkboard wall. It was all Max's idea and a family effort. Parker's finally at the age where he really knows when Dada is gone, so we were hoping this would give him some idea as to when Max was coming home. Max drew his itinerary and I filled in special things that Parker and I would do each day. Then, we crossed them off as each day passed. It helped being able to refer to it during the week, and point out that Dada would be coming home on Friday! Plus, Parker loved adding his own drawings on the bottom. 2. 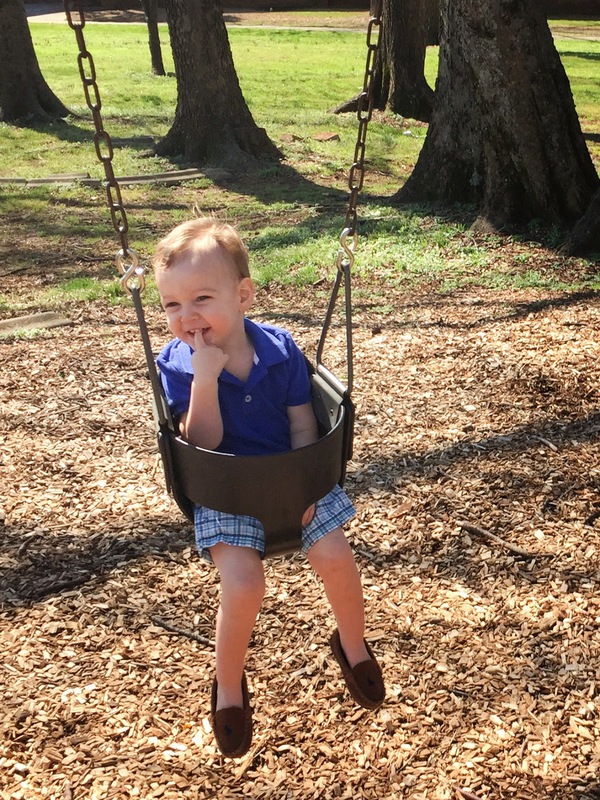 It was gorgeous weather here in Alabama this week, so I planned lots of outdoor activities. We walked to our neighborhood park one day. And we hit up the botanical garden another day! Our sweet realtor gave us a family pass here and I know we will be back lots more. 3. Since Max was gone and I had nights alone, I started a new show to binge watch: The Unbreakable Kimmy Schmidt! I also had it streaming while Parker was sleeping and I was doing laundry. It was silly and entertaining, a perfect distraction while husby was out of the country. The main character is so endearing - an almost-thirty year old rescued from a doomsday cult and plopped down in Manhattan. It's basically time travel for her after being in a bunker for fifteen years, so there's lots of nineties goodness thrown in and I love it. Tina Fey is a producer so of course it's also super funny. I totally recommend! 4. 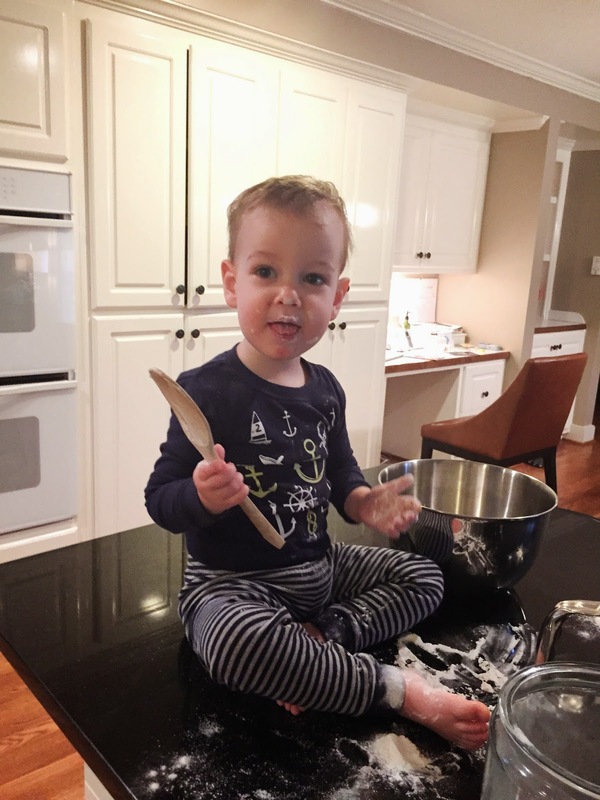 Parker has been helping me out in the kitchen this week and little man loves to cook! And taste. And make a big ol' mess, but I love it. I really want to get a kitchen tower to make our cooking time safer (I'm totally hovering when Sweet P is sitting on the counter). Does anyone out there use one of these? I'm looking at these two towers. I like that the Fun Pod Kitchen Stool is adjustable and completely closed in, but I'm not sure how long P will like being enclosed like that. On the other hand, I think the Guidecraft Step Stool would be perfect later, but I'd probably still be hovering if he were to use it now. Decisions decisions! I'd love advice or recommendations! 5. Speaking of shopping, I picked up these adorable flats on our last Target trip. I can't wait to wear them! I also forgot to get laundry detergent, the whole reason for said shopping trip. Oh, well, P and I will just have to head back, and this time I can wear my new shoes! I love your countdown - what a fantastic idea! I feel like I need to make one just for myself when Aaron travels, haha. 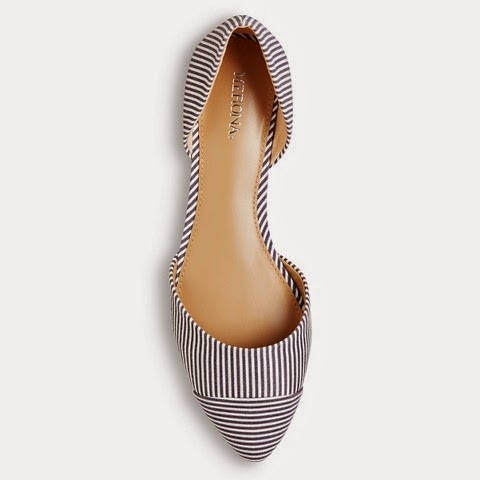 Also, those flats are adorable! I'd totally make a calendar just for me! Except pre-baby, I'd be putting things like mani-pedis on there and not Story Time at the library, ha! Great shoes! I hate it when I forget to buy what I go to the store for!! The worst. 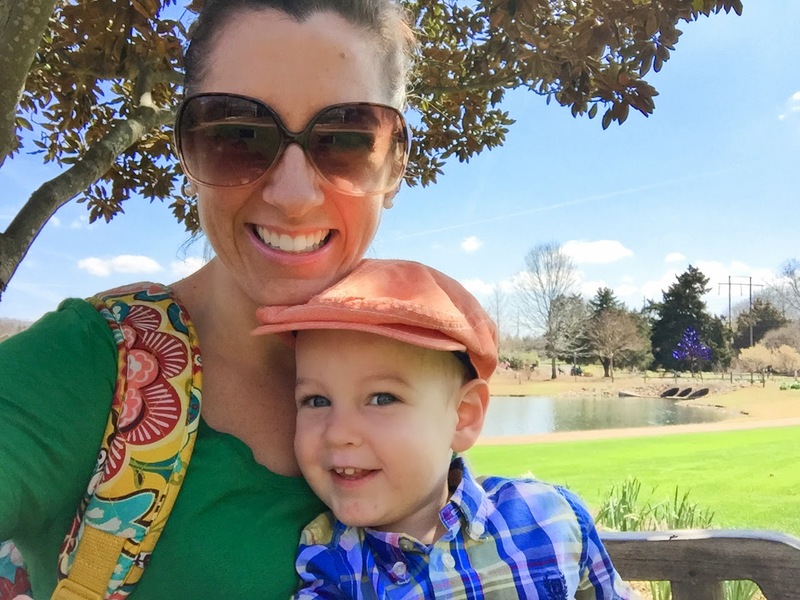 Is that a baby carrier in has botanical garden picture??? Tell me more it's beautiful. I already did it again - Target trip and remembered the laundry soap but forgot diapers. I think I'm doing it accidently-on-purpose because there is a Starbucks at Target and Target is just awesome to begin with. I'm wearing a diaper bag backpack, not a baby carrier, boo! BUT, I will tell you I'm in love with the backpack. Vera Bradley and mine was super on sale! 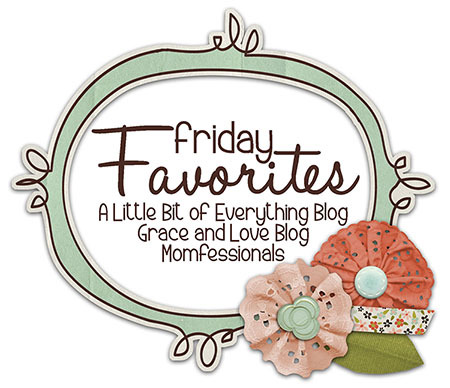 Stopping by from Friday Favorites :) The snapshots of your little man helping out in the kitchen are so cute!!! Loving those fab flats! Target has the best of everything, don't they? 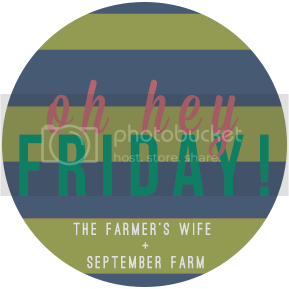 :) Enjoy your weekend! !